Next time you drive over the Bay Bridge, pat yourself on the back: You just helped buy two big boats that will begin sailing from Richmond to San Francisco in 2018. 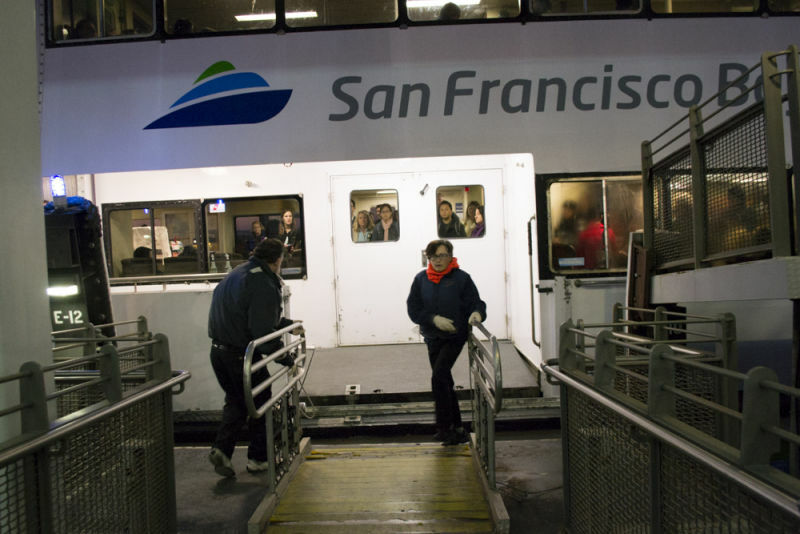 Local transportation leaders approved millions of dollars in bridge toll funds on Wednesday to follow through with plans to expand Bay Area ferry service to the Contra Costa County city. The Metropolitan Transportation Commission authorized giving the region's ferry agency $12 million to help it buy two vessels that will take passengers from a new terminal adjacent to Richmond's Craneway Pavilion to San Francisco's Ferry Building. The MTC money comes from a regional measure voters passed in 2004 that raised the toll on seven state-owned bridges by $1. The funds are on top of $30 million the Water Emergency Transportation Authority, or WETA, has secured in state funding to purchase the vessels. The boats will be able to carry 400 passengers and 50 bikes. They'll travel about 30 mph. The expansion means the San Francisco Bay Ferry's fleet will increase from 12 to 14 vessels over the next two years. WETA expects the Richmond project will carry about about 100,000 passengers during its first year in operation. Regional transit officials say the Bay Area needs to be aggressive in expanding commuter ferry service. They say water commutes can help alleviate increasingly heavy traffic along Interstate 80's Eastshore Freeway and the Bay Bridge, as well as BART's typically packed transbay service. "One of the charter requirements for WETA is to provide water transit which can help reduce congestion on transbay roads and corridors, so the Richmond project is exactly what we were designed to do," said Ernest Sanchez, the agency's spokesman. "It's rare to have an expanded ferry service, so the folks in Richmond are getting something that just doesn't happen every day," said Randy Rentschler, the MTC's director of public affairs. The MTC vote comes eight months after WETA entered into an agreement with the Contra Costa Transportation Authority to secure initial funds for the project. WETA plans to begin the bidding process to buy the new vessels in the coming months. It will then turn its attention to building a $12 million terminal on the city's southern waterfront. The new ferries will run during the morning and afternoon commutes. Fares for the 25-minute ride will cost $6.80 one way. WETA expects the agency to spend $4 million in operating costs during the first year of operation.